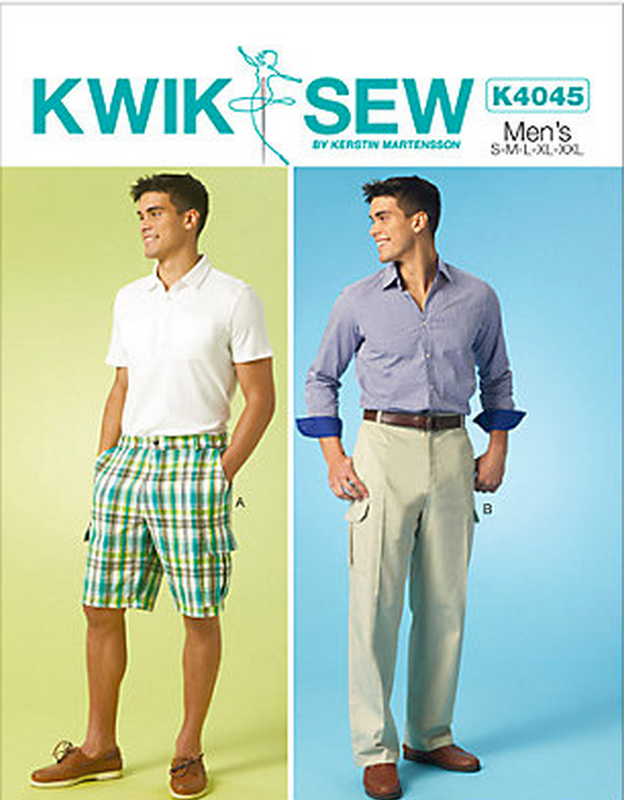 I bought Kwik Sew 4045 because I’ve made their jeans (Kwik Sew 3504) for the men in the family and I love the fit and the method of construction of the pocket and fly. I love making these trousers! They are relatively quick, and the instructions are really comprehensive and easy to follow. I made these with buttoned patch pockets on the back as per the pattern, but his next pair will have welt pockets. Hopefully. I used Hong Kong binding on all the seams for comfort, and this really whipped through my bias binding stash. I found some 100% cotton bias in there, it must be really old, but it’s so nice and soft compared to polyester bias binding. In a nutshell: Pattern is Kwik Sew 4045. 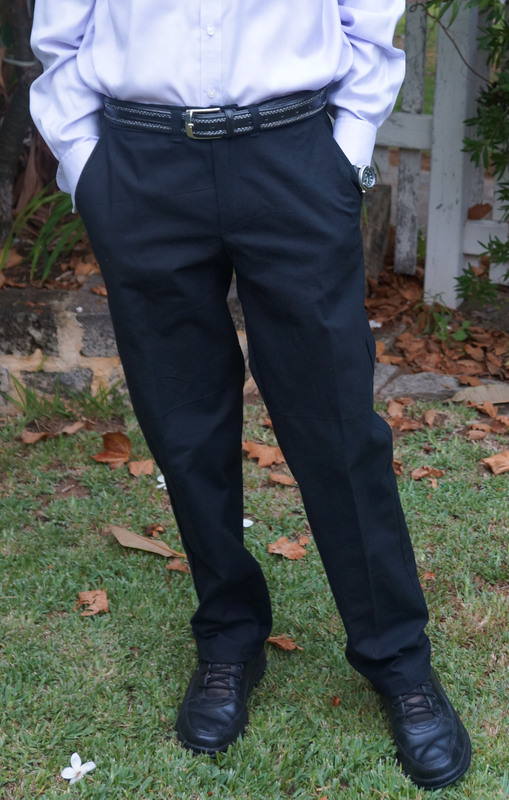 I omitted the cargo pockets on the side seams, otherwise, they are reasonably business like. I used stretch cotton drill bought from EM Greenfield in Sydney. I thought I was buying sufficient, but they shortchanged me by 20cm, so I had to “top and tail” the pattern pieces whilst praying that there was no visible nap. I think I got away with it! The fabric is really nice though. It is crisp with just enough give to make them comfortable. The three buttons are from my stash as was the metal zip. Right, on to the next pair! great fit and the pants look well business-like! Thanks Roma, you might catch a glimpse of him in them somewhere! Wow – they look amazing, how smart are they and a perfect fit! Mark will never have to go to a tailor while you are sewing. These are wonderful. I also have two sons in their 20’s and a husband, but have not sewn for any of them for years. Very inspirational to see your creations. I am enjoying your blog very much! Thank you. Thank you for the lovely comment Amie. Men can be tough to sew for but my husband will wear anything I make him, so he’s easy. One of my sons is much more particular! Very smart looking trousers and I take my hat off to you for making his work wardrobe. Thanks Sharon, I’ve got two shirts lined up to make as well. Better for him than for me! Looks good! Thanks for the “thumbs up” on the pattern! Nice to know! It’s a great pattern. I was going to look for a women’s version. That would be a good idea. It’s always nice to have a “staple” pattern. They turned out great Sue. I bet he’s looking forward to the next pair. yes he is, Andrea. I’ve promised myself that I would do welt pockets though and I haven’t done these for 30 years, so dredging around in my memory. Nicole at Home has a really good tutorial for welt pockets. Let me know if you’re interested and I can send you the link. Great job on the fit! I’ve got two pieces of fabric that are intended for shirts for my hubby. You’ve inspired me to get busy sewing them into shirts! Hi Sue, I would love the link, I am trying to copy the pattern from a pair of RTW trousers and it’s not going well. Thank you! These pants look so professional Sue. I can see why Mark has no problem wearing the clothes you make for him. Wow, super impressive! Don’t tell my husband or he’ll want a pair. Thank you. I don’t make any changes to the pattern for Mark, but probably should! Very smart looking pants. I have made many pairs of shorts for my husband but have never tackled trousers. That Kwik Sew pattern looks great. I can really recommend it, and if you can make shorts you can make trousers! The fit is perfect. Great work, Sue! Isn’t easier to fit pants and shirts for men? 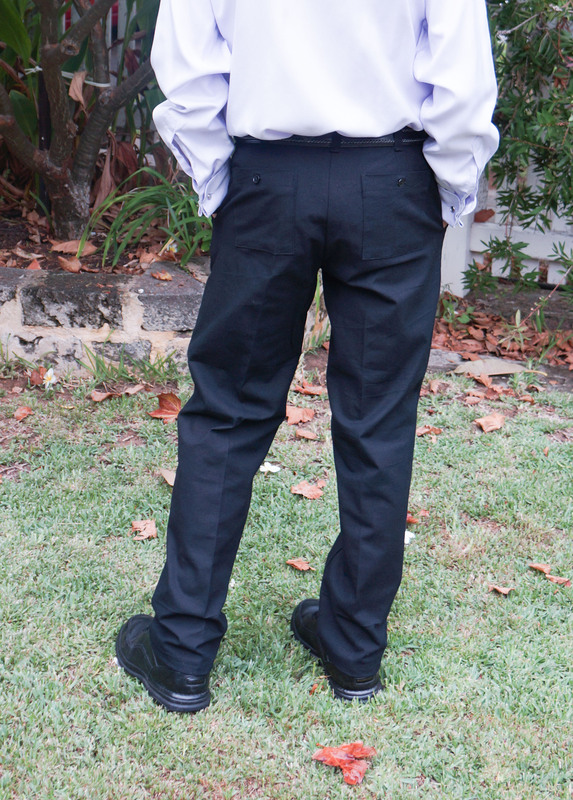 I love these buttoned back pockets, maybe more than welt pockets, which are the usual choice for men’s pants. Hi there, these look great! On question if you don’t mind me asking. I’m going to make the large version for my dad, but the leg pattern pieces look so wide. Yours look normal all sewn up. 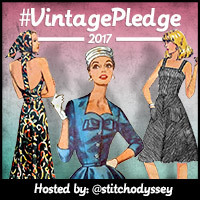 Did you make any alterations to the width of the legs, or did you sew them as is. Thank you, and again these look great. Very professional! Hello Teresa, firstly, this is a fabulous pattern and you will find it addictive. I just made the normal size legs and they seem perfect. Wow, thank you for the quick reply! That’s what I’ll do too then. I’m going to get started tomorrow. It has the best fly construction…!